Lots of great info/documentation …… not to fast though, this build has to last an other 6 weeks till the ice is gone!! There's two layers of blue tape under the hatch. That will make the lip slightly deeper so the hatch will sit flush. The hatch is also covered with contact paper. The second picture is a close up of thin strips of the blue tape so the edge releases. Last edited by sammyha; 03-02-2019 at 12:47 AM. Last edited by sammyha; 03-02-2019 at 12:48 AM. 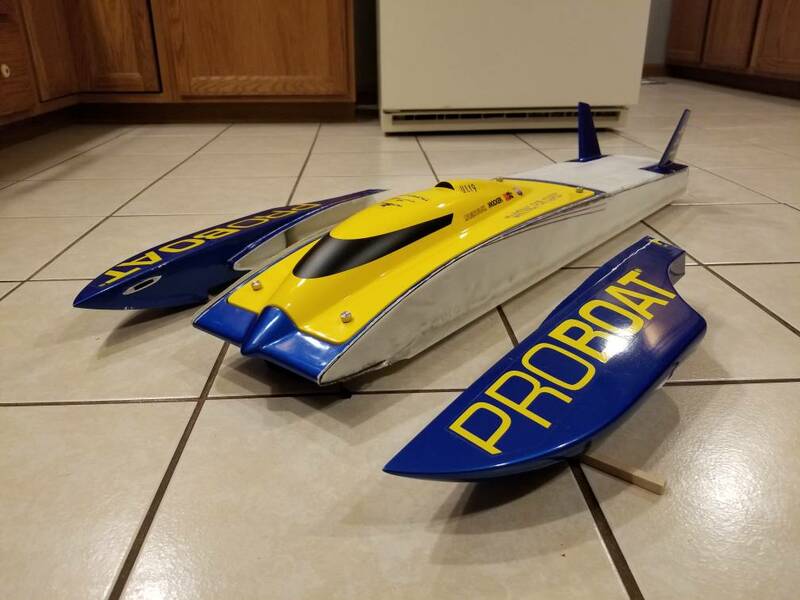 Cool idea...maybe I'll do with with my UL-1 since all she wants to do is blow over at speed. Once I get my Whip finished that is. I pulled it from the mold and cleaned it up. Everything fit beautifully. It's all in the prep and setup. Ultimately the success of this project will come down to running the boat I suppose. But, at this point it's looking like this will work. 1) The contact paper. 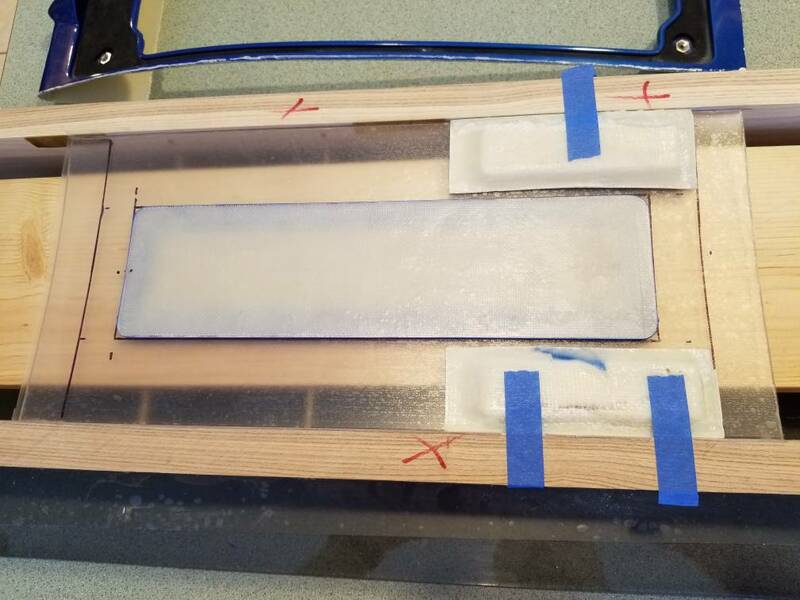 It's low adhesion so sometimes when the part releases from the mold, the contact paper is still stuck to the part. Then just peel it from the part. Sometimes the part releases out of the mold from the contact paper. The epoxy does not fish eye when brushing it on the contact paper. This is a big deal. 2) Six ounce cloth and 30 minute Zpoxy. I bought the Zpoxy twice. I should have enough to close in the sponsons. 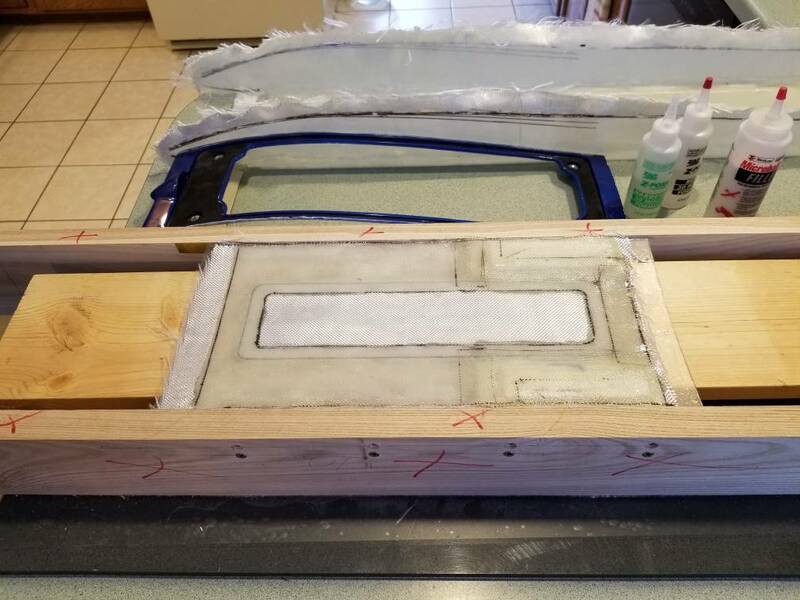 3) Measure and cut out all the pieces of fiberglass. I lay down the first coat mixed with micro balloons so it's sand able. Wait until it's tacky so the cloth doesn't sink thru to the finished surface. I drag a small wood spatula over it to smooth the cloth out. I immediately continue with the next layer. 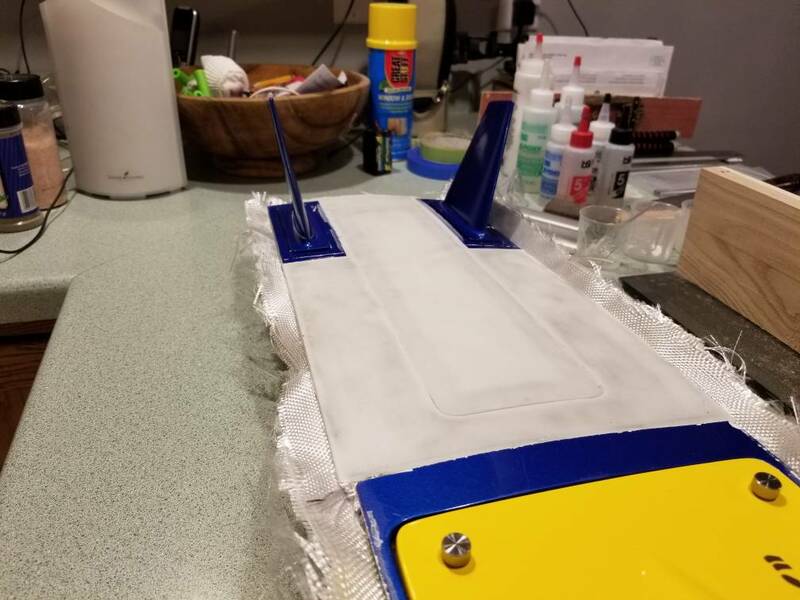 I'm spreading an even coat of full strength epoxy(no micro balloons), then laying down the cloth and smoothing and pressing the cloth into the epoxy with the wood spatula. The key here is spreading an even layer of epoxy. That's it... Use your imagination for making the molds. Chop up an old boat! It's been great fun! BTW, the only air bubbles(which make voids) that I've had were in the bottom corners of the tub. Not trying to contribute, very interested & didn't want to miss the running video. Thanks. I hope I don't disappoint. It will be awhile for ice out up here. My thinking is by qualifying all the running surfaces back to where they were, it should perform well. That way I'm utilizing Pro Boat's design, not mine. I enjoy your enthusiasm and your willingness to teach yourself , that epoxy is not good for what your doing it will always remain somewhat soft and you cant sand it because it will ball up and clog your paper and remain sticky use west system or Maus it's a 3-1 mixture system,, not sure you need all that cloth you can also use wax paper as a release and get your self some throw away china brushes not those small acid brushes you can thin that epoxy with 90% rubbing alcohol but best to use that stuff for small repairs and gluing blocks of wood good luck and keep up the good work with what your working with !!! live and learn nothing ventured nothing gained !!! That probably wasn't easy to post. So thank you for that. So I googled this. There is epoxy resin and polyester resin from what I read. 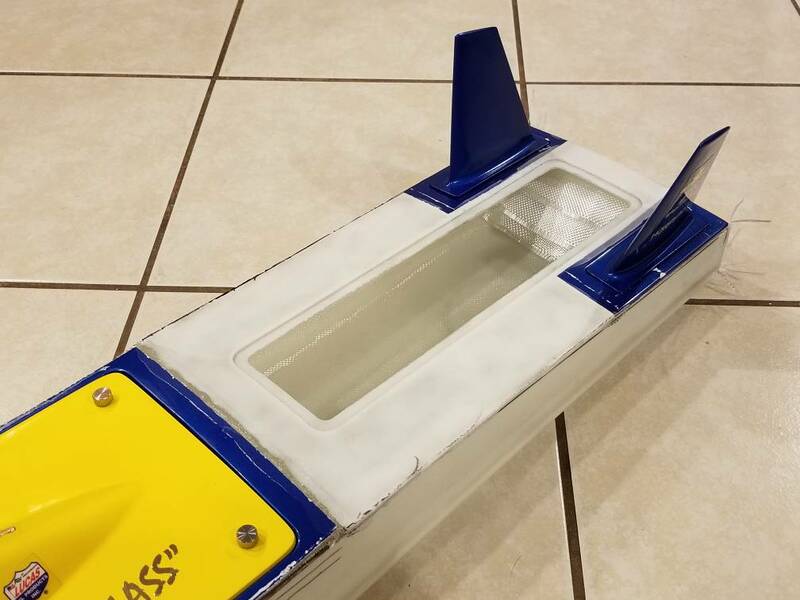 Boat manufacturers use polyester resin and boat repair guys use epoxy resin. Something about the epoxy adheres better for a repair. Polyester needs more heat to cure and is more cost effective. But the epoxy they refer to is like West System's stuff? So I should toss this in the dumpster? Or maybe it will be strong enough and be less prone to cracking? I did notice what Chris is saying, it feels hard when I tap on it, but it's flexible. A bit more flexible than I would like it to be. It does stiffen some after a day of curing versus right after it sets. Over 600 views, does anyone else have any experience or thoughts on the public abortion I've created? Last edited by sammyha; 02-13-2019 at 10:34 PM. IN general, don't bother with polyester resin. Its used because it is 'good enough' while still being cheap. Epoxy is tougher. 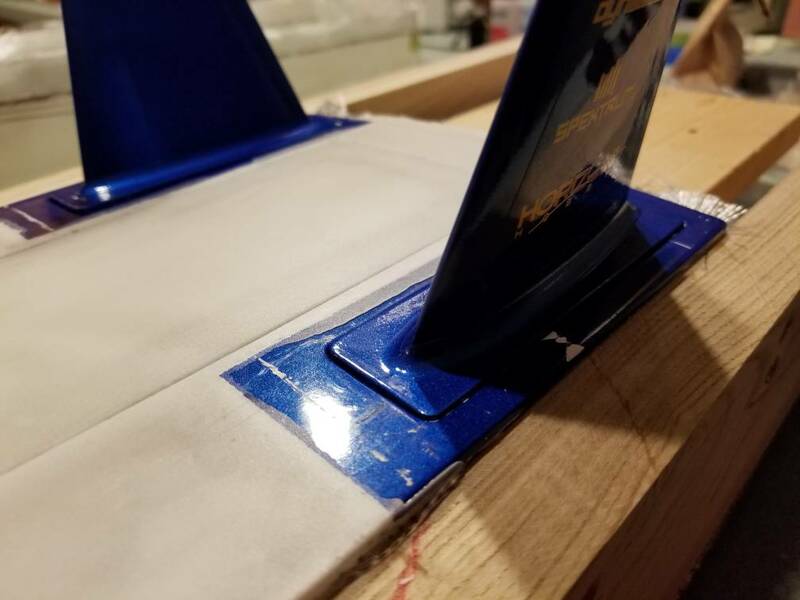 Use the slowest curing epoxy you can. Its stronger. I use low viscosity epoxy. because you want the lease amount of epoxy, and the most amount of fiber. Low viscosity epoxy is much easier to squeeze out the extra. Granted, I don't do hand layup, only vacuum bags. you could accomplish some of this by clamping things down with a layer of peel ply as a final layer to squeeze out the extra epoxy. West is probably fine for what you are doing with a hand layup. If your interested in going the vacuum route, here is a vacuum generator that will work, and uses a compressor as a supply. Really cost effective. Last edited by larryrose11; 02-14-2019 at 08:24 AM. 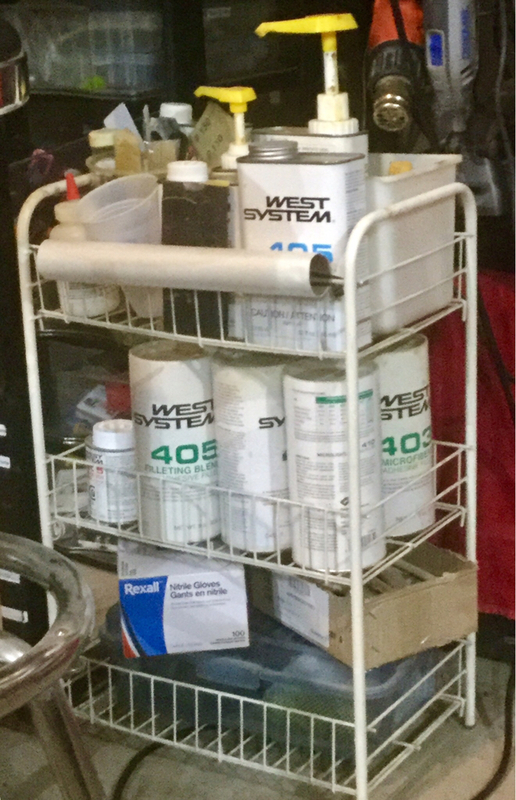 Isn't West System just the brand name for a marine epoxy? Yes it’s a line of resins, fast cure, slow cure, finishing, and many different fillers and thickeners. 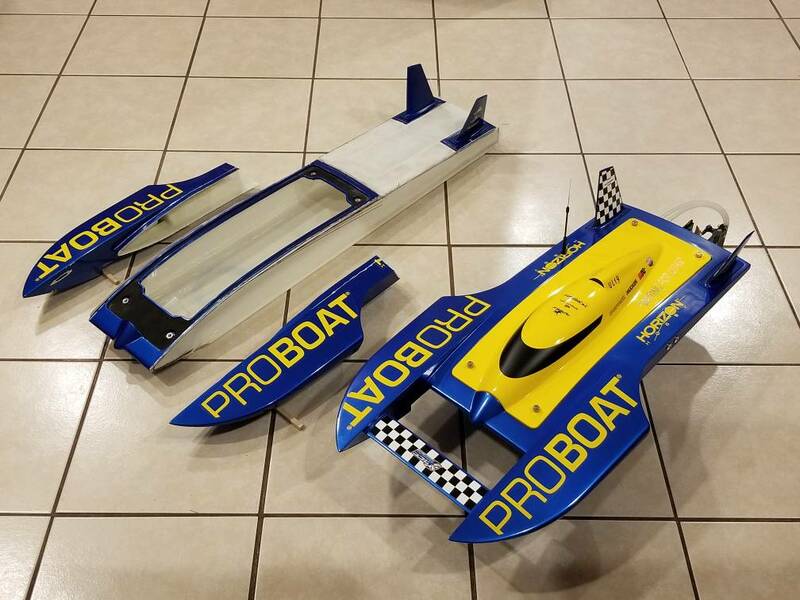 1/8 Squire Shop nitro,1/8 59 Maverick nitro, 1/8 Executone FE (UC)1/8 Smokin Joe FE,MLGSX380,AC Pro40II Q Sport,AC Pro40II nitro,Twincraft mono 10s,Vision AOPC,VS1 FE,Insane 30. Not intending to be rude...I only ask to learn...So I thought epoxy is resin...what is the difference? Initially I went with Z-poxy 30 minute epoxy and Z-poxy finishing epoxy for the Whiplash 20 I'm currently building. But I find that I am going to need to create a new nose and cowl out of fiberglass and I've never done anything like that before. Your Whiplash is a wood kit right? I think what you used to build and seal and then finish that is fine. 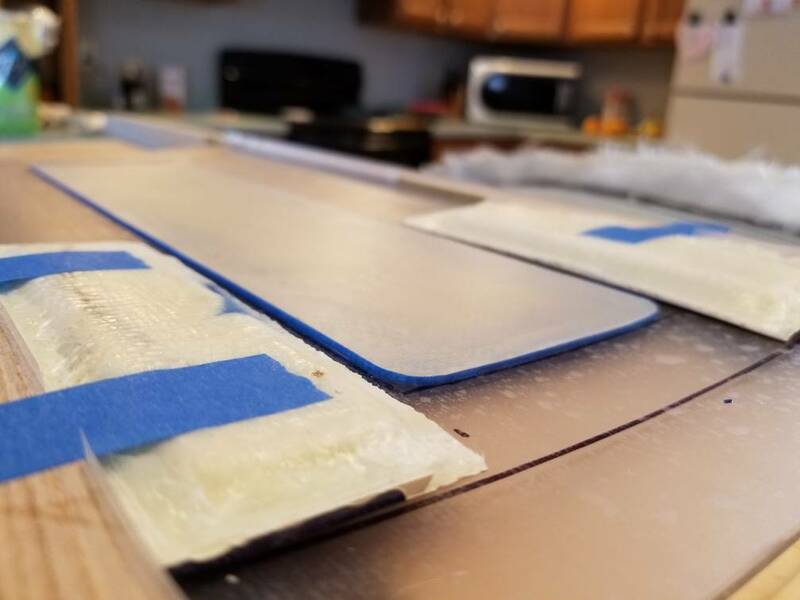 Apparently epoxy for fiberglass work is a different thing. 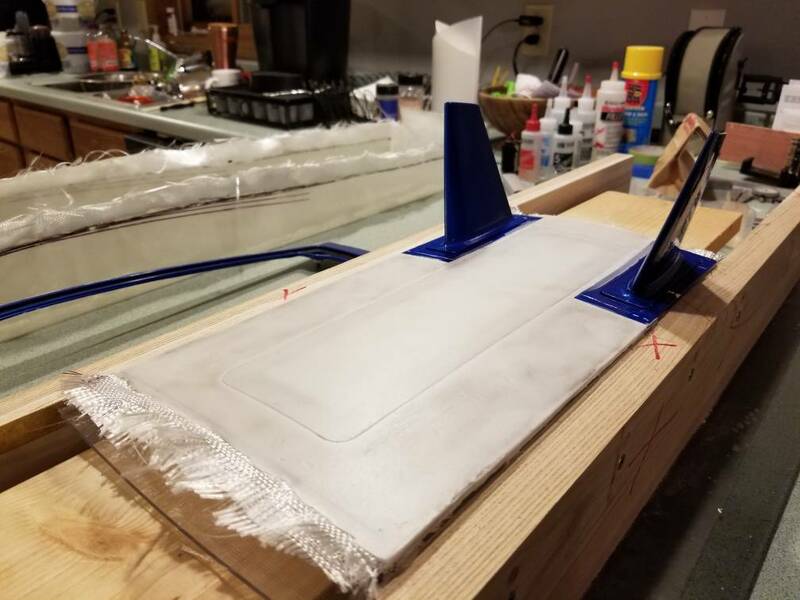 Follow the link Chris(dasboata) posted(post #47) and read on that website about their epoxies. It's explained quite well the uses for their products. Last edited by sammyha; 03-02-2019 at 12:54 AM. Darn...I was really hoping to avoid spending $75+ on West Systems for resin that I will only use a small fraction of. Oh well. 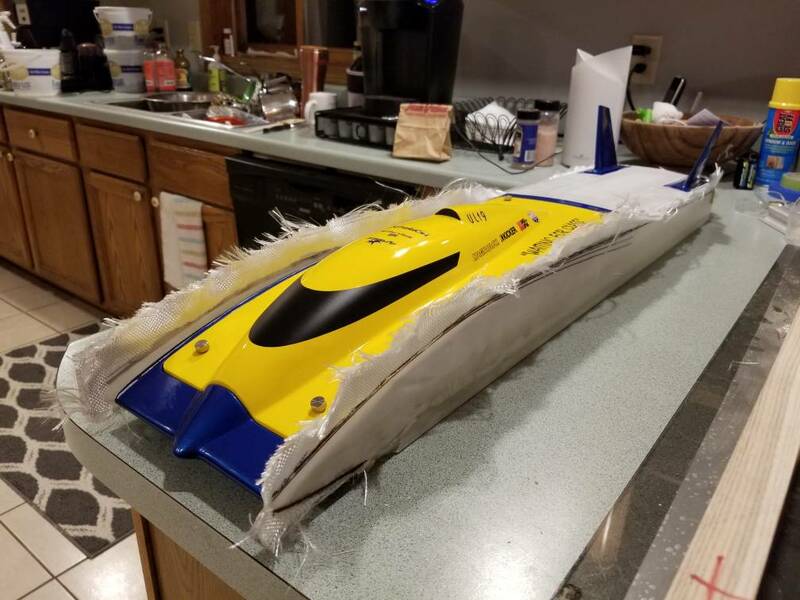 I looked at it once before for sealing my 3d printed rc airplanes...someone had suggested trying marine resin due to the UV blocker in it to help protect the plastic from warping in the sun. 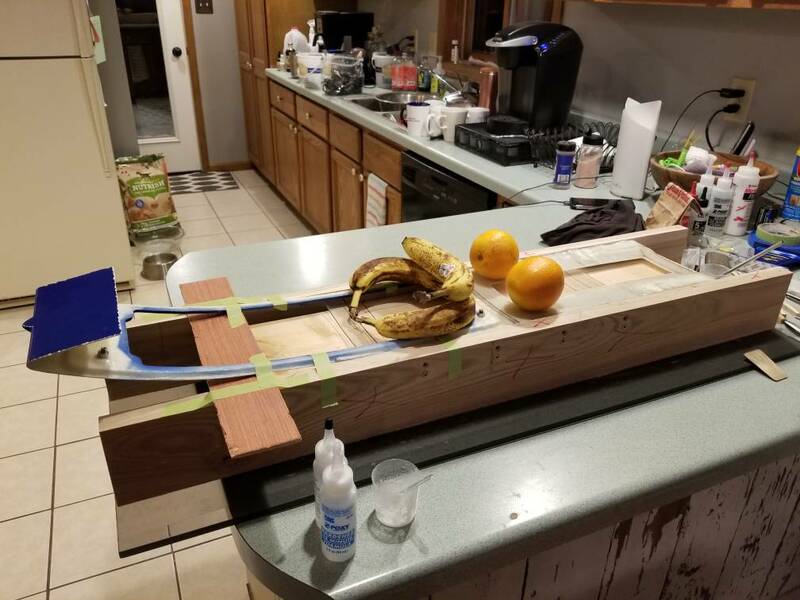 I ended up using polyurethane for the planes. I have got cowl's for the WIP 20 and 40. Thanks Larry...not quite what I'm looking for but I appreciate it. Last edited by sammyha; 02-15-2019 at 12:24 AM. 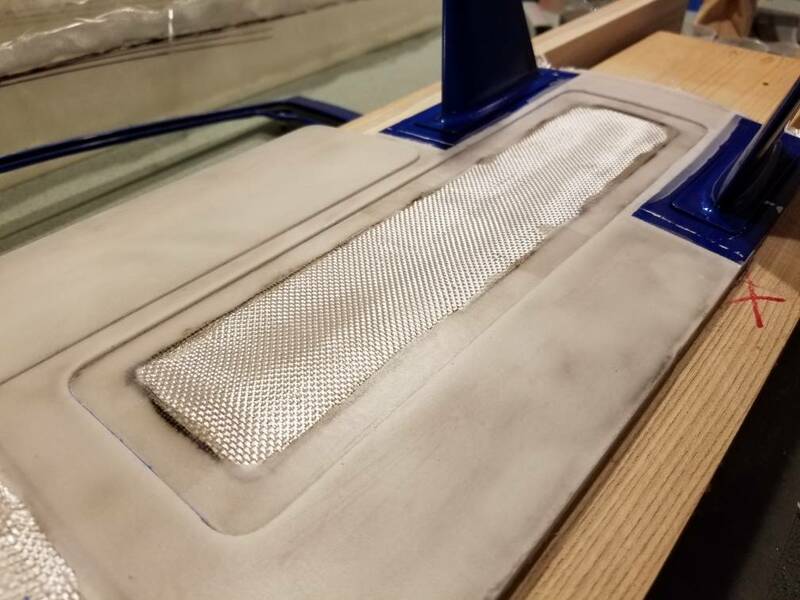 There's an amazing amount of work in just fabricating the hatch lip! Here it is trimmed up. Last edited by sammyha; 03-02-2019 at 12:56 AM. Nice job. You got me checking the forum every couple hours to see if there is anything new on the build.